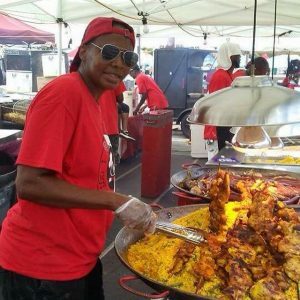 Born in Pensacola Florida, Chef Carmen Atlanta Smith began cooking for her family at a young age. She was adopted along with her five siblings and enjoyed helping prepare meals as young as 10 years old. Once old enough to work, Carmen worked in numerous restaurants learning the business and sharpening her skills. After finishing high school and college, she moved to the Atlanta Georgia area. 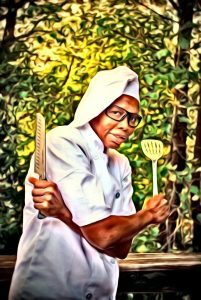 Chef Carmen still resides near Atlanta and runs a successful catering, concession and personal chef business.